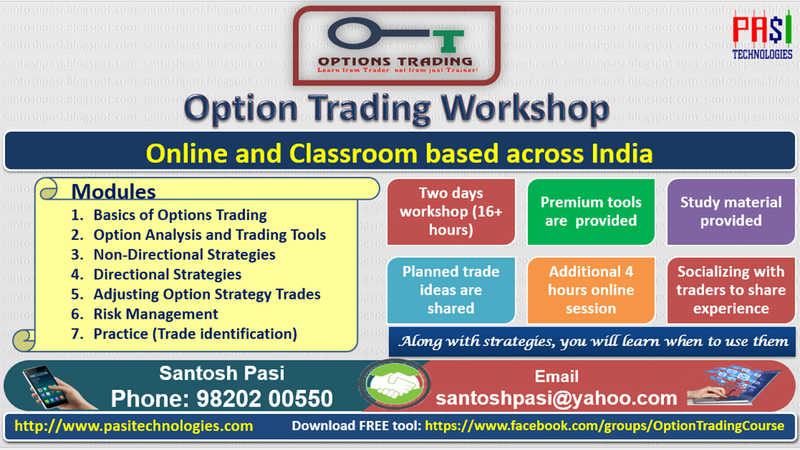 Our workshop is throughly designed and we have already trained 100s of traders across India and overseas. As part of workshop, you will receive premium tools that will help you to take correct decision. 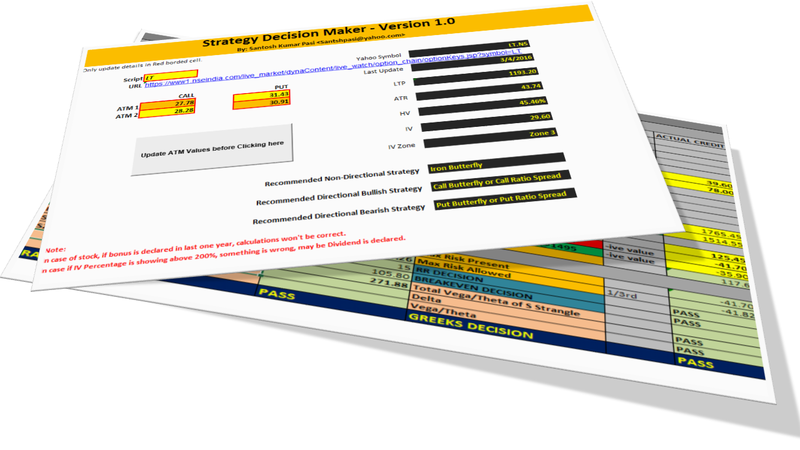 It validates Option Greeks and other trade parameters too. Training during weekends only, please contact me for further details. Post training, trade setups are provided for three months to recover training fees as profit from trades. We also provide support for three months to clarify any doubts. Contact me for other features of training. 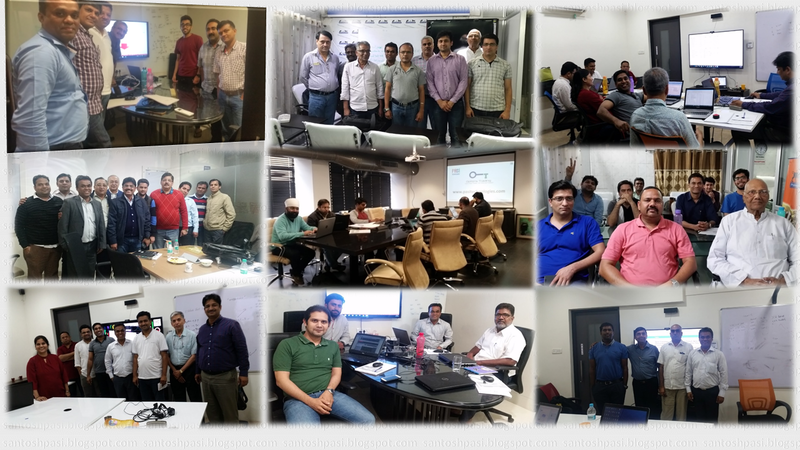 Training content are precisely made considering Indian market. You will master directional and non-directional strategies. With these, you can trade in any market conditions. 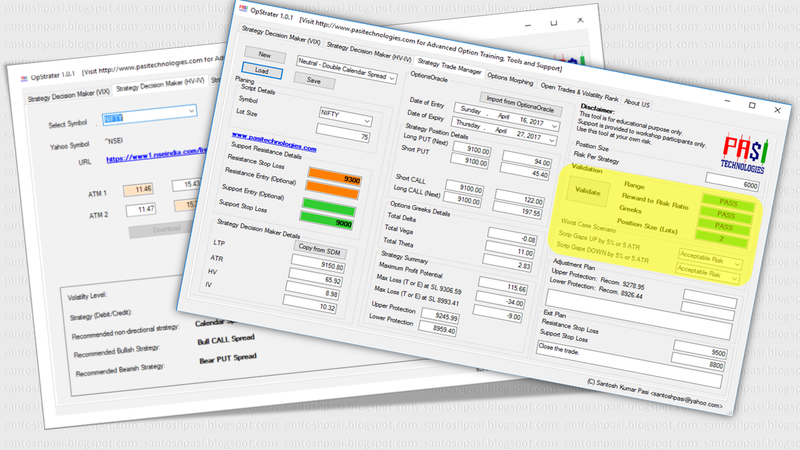 Learn how to adjust strategies with simple concept, to lock profit and minimise loss!!! Participants includes full time traders, brokers and sub-brokers, professionals and retired personnel. NIFTY is likely to open positive. It is likely to remain positive to sideways in the later part of the day. NIFTY short term support is between 10720-10750 and resistance is between 10920-10950. NIFTY short term support is between 10720-10760 and resistance is between 10920-10950. NIFTY is likely to open negative. It is likely to remain negative in the later part of the day. NIFTY short term support is between 10760-10790 and resistance is between 10920-10950. NIFTY is likely to open neutral. It is likely to remain sideways to negative in the later part of the day. NIFTY short term support is between 10640-10680 and resistance is between 10820-10860. OTC Challenge for February 2019 Series is open now and will close on February 24, 2019. NIFTY short term support is between 10580-10610 and resistance is between 10720-10760. NIFTY is likely to open neutral. It is likely to remain sideways to positive in the later part of the day. NIFTY short term support is between 10580-10620 and resistance is between 10720-10760. NIFTY short term support is between 10610-10660 and resistance is between 10860-10900. NIFTY short term support is between 10720-10760 and resistance is between 10860-10900. NIFTY short term support is between 10800-10850 and resistance is between 10930-10950. NIFTY short term support is between 10880-10910 and resistance is between 11040-11080. NIFTY short term support is between 10910-10940 and resistance is between 11140-11210. NIFTY's short term support is between 10830-10800 and resistance is between 10970-11000. Here is market outlook. NIFTY is likely to open neutral. It is likely to remain sideways to positive in the later part of the day. Because of Union Budget, market may show sharp moves. NIFTY's short term support is between 10660-10700 and resistance is between 10910-10950.